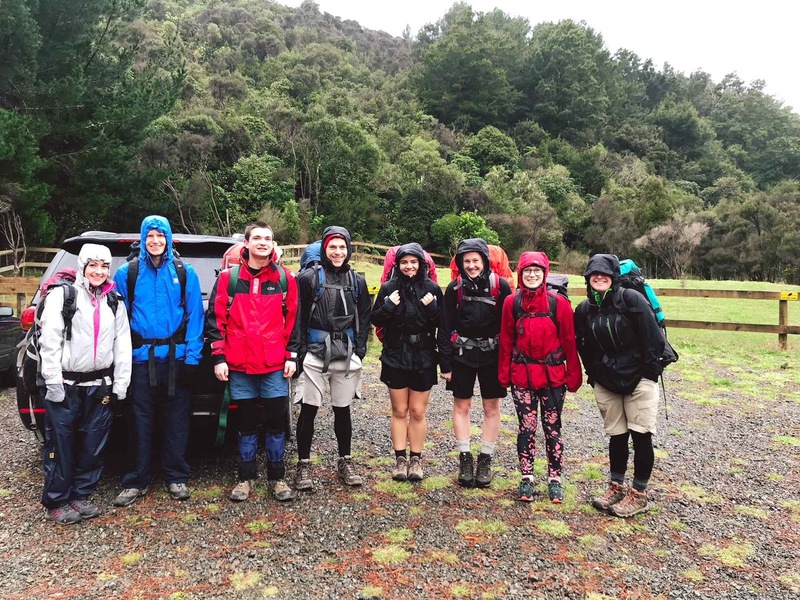 A discourse on the New Zealand outdoors including tramping, hiking, outdoor equipment and outdoor literature. 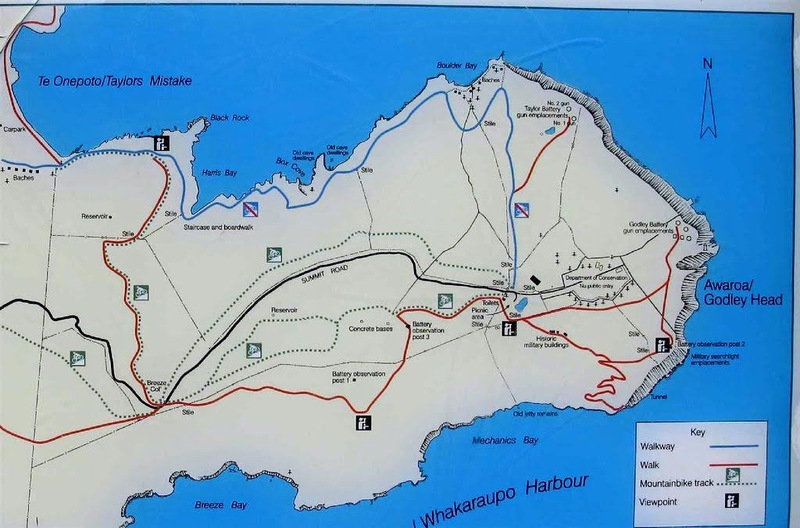 Here is an interesting pictograph that JETNZ a fellow Kiwi tramping enthusiast has drawn up and forwarded to me. This is a diagram showing the clothing a woman needs for tramping in New Zealand conditions. Obviously, the clothing worn by males and females is made from the same materials but usually differ in cut and styling. Women's outdoor clothing tends to be colourful and more finely cut than menswear, shaped for a women's figure although increasingly outdoor clothing is multisex in nature. Most guys I interact with outdoors look like a bunch of hobos.....dirty and dishevelled and there is nothing wrong with that. Outdoor women tend to look like they would on the street...tidy. If you are going to see a dirt bag tramper its usually going to be a dude. The clothing in the diagram is made of either synthetics or merino wool and follows the time honoured layering principles. No cotton clothing because cotton is very hard to dry and leeches heat from your body when wet. You have options here for all climatic conditions: warm and dry, cold and wet, cold and dry and warm and wet. You 'mix and match' the items to regulate your body heat and to keep yourself dry. After recovering from my recent illness and surgery I have been doing a few short walks as part of my recuperation. 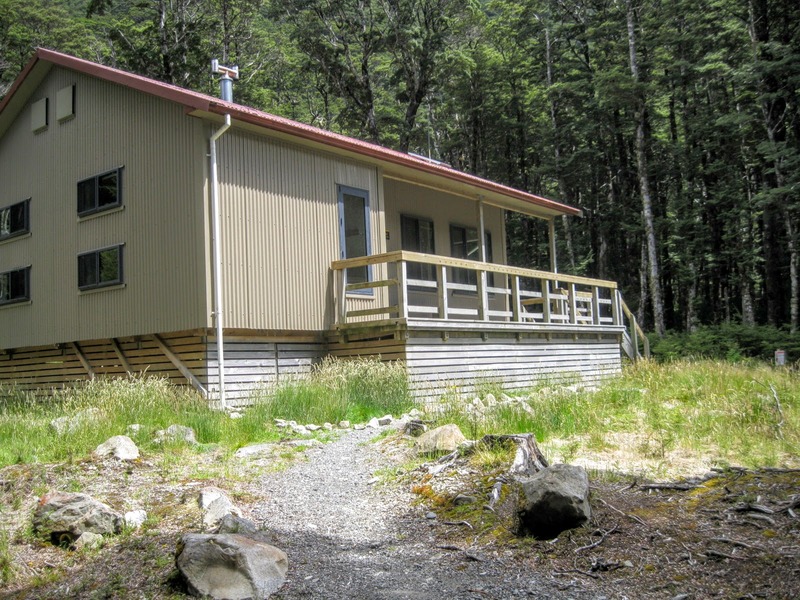 I thought I might try for an overnight trip to a front country hut, 3-4 hours from the road end to see how my fitness is. Karen was working so it was Jon heading out on his own. I decided to go up to Hawdon Hut, one of my favorite destinations in Arthur's Pass, stay the night and then return home the next day. 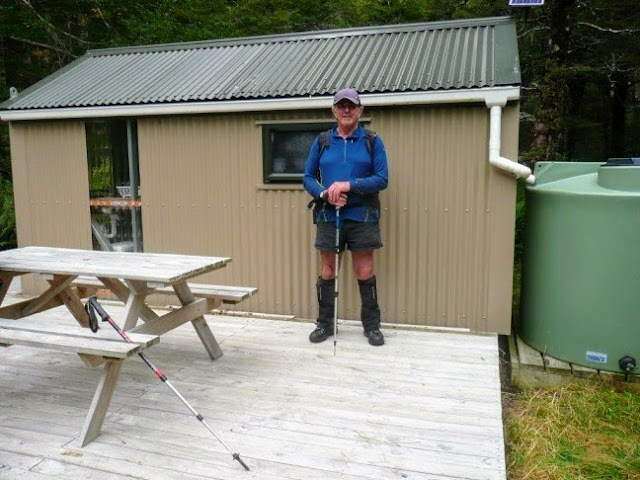 Hawdon Hut from my 2015 visit, it is a nice 16 bunk hut! Unfortunately my plan was stymied when after walking up river for over two hours I discovered that I was unable to make the mandatory crossing up stream from the East Hawdon confluence. After attempting to cross the river and failing to do so I reluctantly decided I had to head for home. If I had thought to take a tent with me I would have camped out on the picturesque banks of the upper Hawdon River Valley but I only had an emergency bivy with me and that wasn't going to cut the mustard as they say. Even though my hut night was aborted it was still a lovely early autumn day and I enjoyed being out in the sun after weeks of miserable weather. I had a nice walk up the valley and now I know I'm fit enough to go out for an overnight trip provided it is not too far from the road. 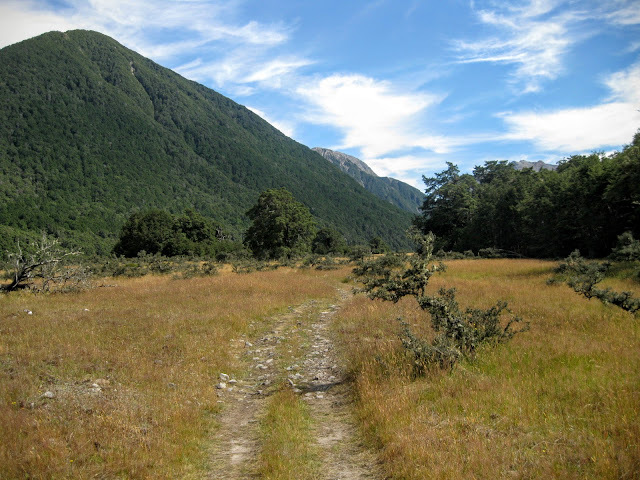 Its all part of my ongoing plan to get back to peak tramping fitness. I headed off late...it was 8 am as I drove down the road, the weather was fine but there had been some rain overnight so I had my worries about river levels. It was a uneventful trip until I crossed over the Mt White bridge to drive to the Hawdon Valley shelter site. 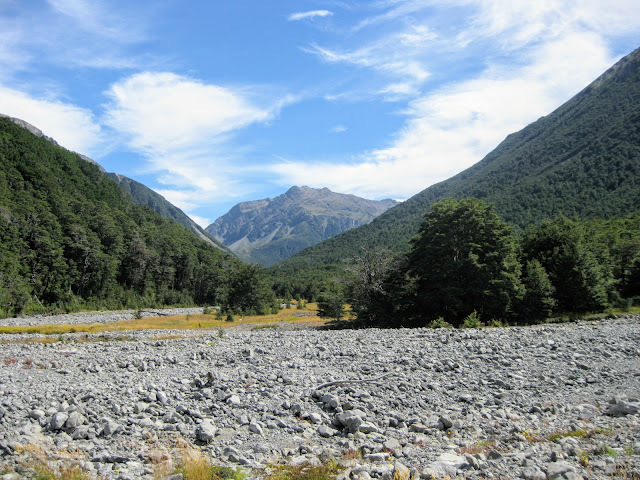 My trip was just four days after "Stormaggedon 2019" so there was significant damage to the gravel roads leading to the campsite; washed out river crossings, massive meter deep holes, exposed rocks and mud from where the Hawdon River had broken its banks and flowed down the access road. Lucky for me a dozer had just been down the road to cut a new path so although bumpy I managed to get to the campsite. Hawdon Shelter at the mouth of Hawdon Valley....big pile of pest traps next to hut!!! A quick look at the Hawdon Valley intentions book (at the shelter) showed I was the first person to visit the campsite in over five days. Despite that there was a fire smoldering in the fireplace so I suspect someone had been there recently. I wish people would show a bit more sense and put fires out...I used my emergency water supply to fully douse it! 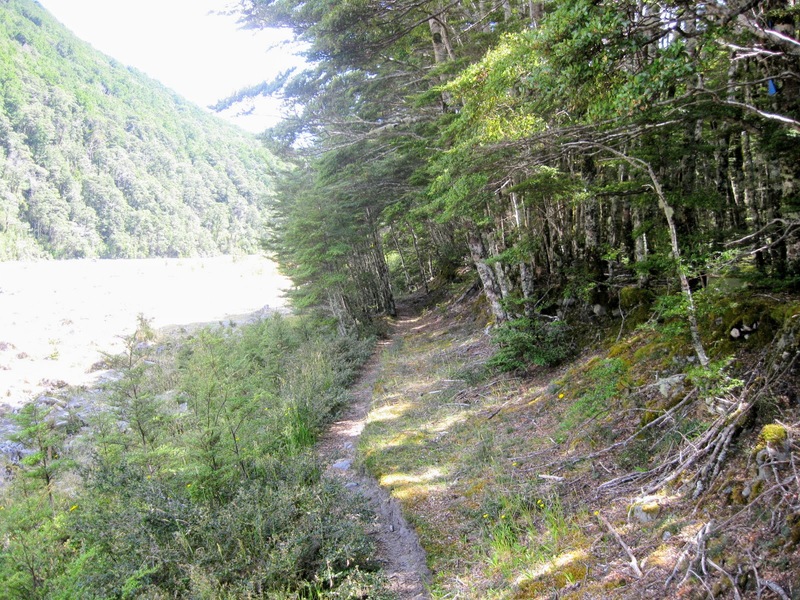 Start of Hawdon Valley Track next to the shelter....nice camping if it is calm. When I got down to the river I could see that the recent rain event had heavily impacted the Valley. There was a lot of flood debris and water damage to the banks of the river, a large digger was also hard at work building a new flood bank as the old one had several large breeches in it. The water level must have been damn high as there was flood damage on the access road one kilometer and about three meters higher than the river bed. When I got up valley all the grass was facing downstream and there were flood debris around trees. This was in places up to a kilometer from the nearest channel so the whole valley must have been submerged. The river level was up but because it was broken down into four channels it was relatively easy to find a good crossing point. In the photo below you can see where I crossed...there was a submerged shingle bank most of the way across the main stream. I got across but the volume of water had me worried about the state of the river further up the valley. 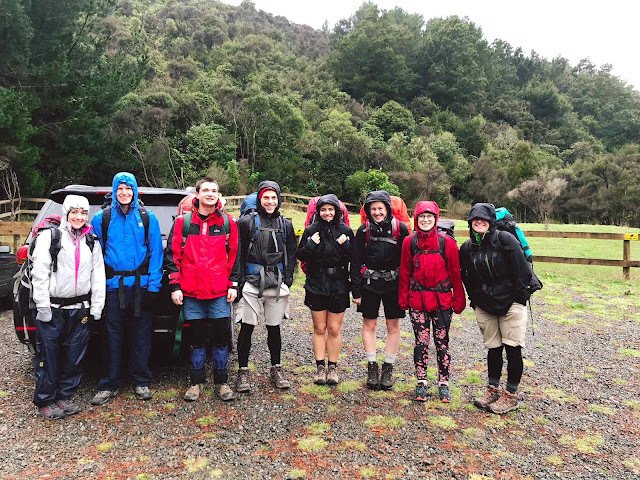 In the background you can see the Pyramid and the entrance to Sudden Valley both of which are on my list of future tramping trips. I found the gate DOC have on the fence across the river flats and started walking up the 4 W/D track to the East Hawdon confluence. The track has been largely washed away by recent storms so it was a bit of a rock bash with multiple crossings of side streams and channels. Harder work than usual it took me nearly two hours to reach the bush near the East Hawdon. As you can see in the photos below a lot of the overlaying soil and grass has been stripped away from the river bed but even so following the 4 W/D track is better than making your own way up valley. The crossing of Sudden Valley Stream was difficult, it was knee deep and fast but I managed to find a good crossing point. This is at the Hawdon River end of the confluence...if you go up river Sudden Valley Stream is constricted and really deep (chest deep) and not able to be crossed. Take care on this crossing as the stream run out goes straight into a deep part of the main river. Crossing point for Sudden Valley Stream...fast and deep!!! I had the valley to myself for the whole day...I didn't see another person in all day. This is not unusual during the week (it was Friday) but still a little unnerving as you usually see some DOC workers, anglers or the odd tramper up here. I imagine I would have had the hut totally to myself if I had managed to reach it. 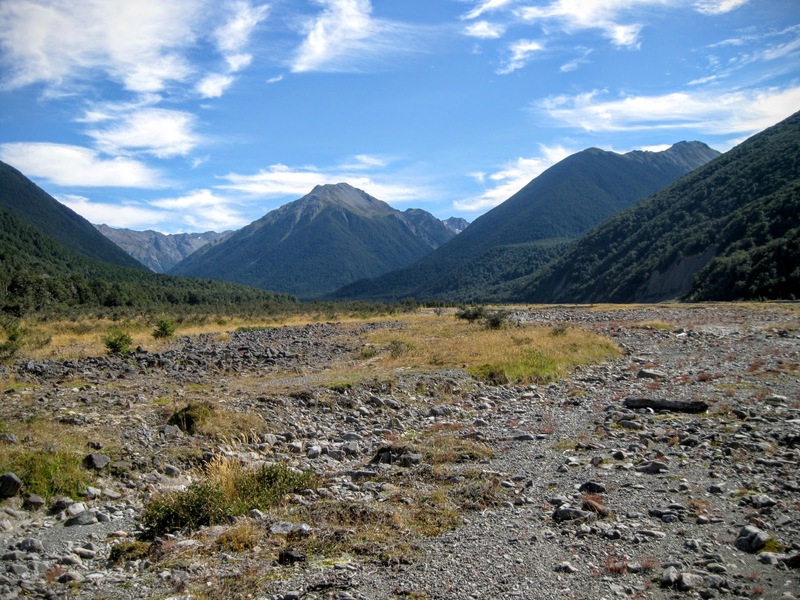 The Hawdon River has changed its main channel once again..the Hawdon is a typical braided river and every couple of years a big storm will carve out a new bed for itself. It used to flow solidly down the true left of the valley but has now migrated over to the true right. This means you need to cross a couple of quite wide, deep and swift channels in the mid part of the valley. The process started back in 2015 but has gathered pace since. The new course of the Hawdon River in 2015...this used to be a dry riverbed before 2014! No photo of the new river channel of course, I took one it just didn't save to the memory stick. Care should be taken when choosing a crossing point here...just don't go striding in....the clarity of the water hides how deep it really is from the bank. As I was passing by I went for a short side trip to the Hawdon Bivouac, this is a small three bunk DOC hut situated in the tongue of forest just before East Hawdon River. The hut is not for public use but is home for DOC staff when working on research projects, pest trapping and bird recovery programs in the area. If you want to visit the bivouac there is a very indistinct track leading away from the main track in the forest pictured above. Look for the obvious parking area just off the main track, the path meanders through the bush from there. The photo above is from the Hut Bagger NZ site, I have a new camera and I'm having a few problems getting used to it. I took around 20 additional photos on the day and for some reason none of them saved to the memory card. The next time I am up the Hawdon I will stop and take a series of photos of the bivouac. The East Hawdon River crossing was not too bad really the channel was narrow and only just above ankle height so easy to cross. 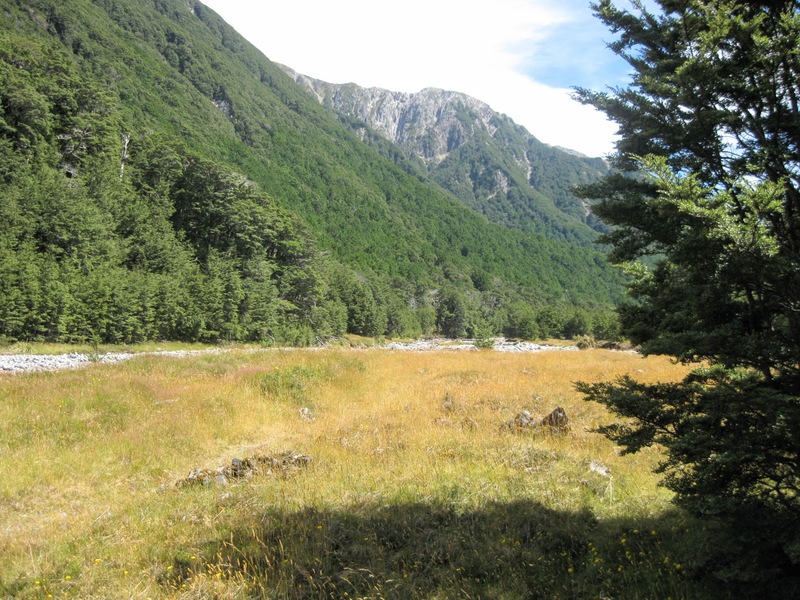 There is an excellent two person biv up the East Hawdon River valley, it makes for a nice overnight trip but take a tent in case the hut is full. Once past East Hawdon River I walked for another kilometer up the valley until I got to the point where you must make a mandatory crossing of the Hawdon River. It was not looking good....the valley narrows at this point so the river is always deeper and more difficult to cross there. It is about normally 20 metes wide and half way to my knees...so it can usually be crossed if one is cautious. Hawdon River in 2016: this is the normal flow level in early spring...normally easy to cross!!! The river is wider at the marked crossing point but all the smaller streams form one bigger river channel. I walked up and down the river for about 200 meters checking out possible crossing points...it didn't look good...deep and swift. Additionally, there was a lot of runoff coming down the main river and those feeder streams. I'm missing a photo of the place I tried to cross the Hawdon River...stupid camera operator! Things felt wrong right from the start...I got about 1/3 of the way across and it was just too deep and swift to go on. I had water above the knees, a foot high wave off my support branch and my feet were slipping backwards on the gravel....not good! I thought bugger this for a laugh...so I quickly backtracked and got my arse out of the river pdq. I stopped on the bank, dropped pack, brewed up and contemplated my options. I had another look up and down stream but there was no better crossing point and with no tent camping was out of the question. After much thought and very, very reluctantly I decided that I had no option but to turn around and go home. Bugger....it was only another hours walk to the hut but I just didn't want to drown trying to get there. Unfortunately that is how things go but choosing the safer option is never a bad decision. Once I had a firm decision to return to the car I packed up my brew kit and hotfooted it back down the valley as quickly as I could. I jumped back on the 4 W/D track and followed it for most of the way back to Sudden Valley Stream. Two hours saw me back at the crossing point of the Hawdon River down by the campsite and the beginning of the track. The crossing was a bit more difficult than in the morning as the digger had closed off a couple of the side channels in the river, this made the level in the main channel higher. I found a spot where the river fanned out into several wide gravel beds and used this as my way across, it was knee deep but not as fast running over the gravel. I climbed up to the shelter at the Hawdon Valley campsite and soon found myself back at the car. A trip finished long before I expected it would. If you ever want to camp at the Hawdon River campsite, make sure to check out the campsite shelter. It is a nice wee shelter and has an open fireplace and tables and seats for about 10-12 people inside. There is no wood shed and the forest nearby has been picked clean of dead-fall but have a look anyway. Every big storm brings down a few branches and trees and there is a lot of wood in the forest fringe around the rest of the campsite. Water is from the nearby Hawdon River but take it upstream of the stock fence across the mouth of the valley. The sand-flies are murderous at the campsite easily the worst I have ever encountered in Canterbury and they could give their southern cousins from Fiordland a run for their money. If you are looking for a short over night trip I recommend Hawdon Hut...the valley is very beautiful and feels wilder than the closeness to the road should allow. Just dont go up there when it has been raining as your not getting over the river when it is in flood. Access: Turn off SH 73 at Mt White bridge, take the road to Hawdon Shelter. Note the track was a real mess when I visited with mud, washouts and rough areas. Check DOC Arthur's Pass website for warnings. The Hawdon Valley track starts next to the shelter, fords Hawdon River and continues up valley to Hawdon Hut and Walkers Pass. Miscellaneous: Hawdon River is prone to flooding in rain and dangerous if in flood. There are at least 5 mandatory river crossings on this track.Exercise caution. 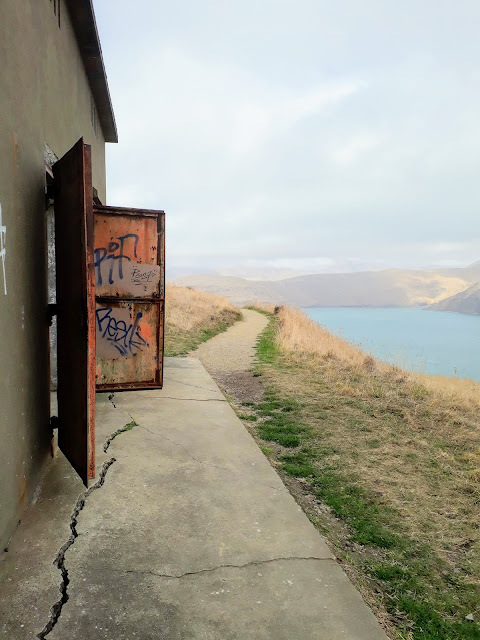 It was a relatively nice Sunday so I suggested to Karen that we visit the old defence battery at Godley Heads. I have been here many times over the years but this was the first time Karen had visited. 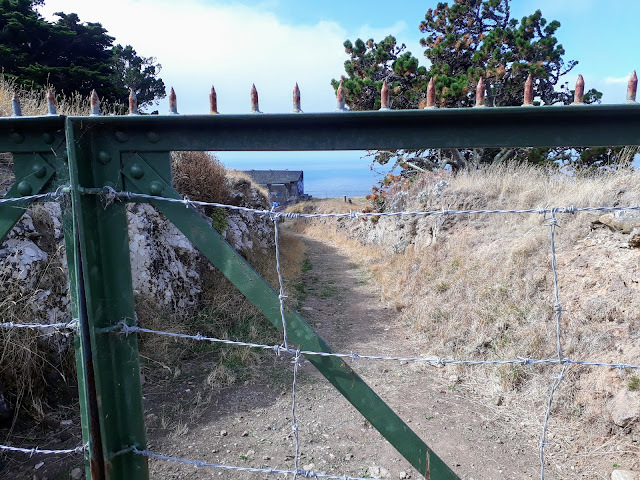 The defense works were built in haste in 1939 when New Zealand entered the Second World War and the threat of an attack on Lytelton Harbor from German commerce raiders was high. Initially there was a half battery of dug in WW1 era 60 pdr field howitzers these were later replaced with a dedicated coastal battery. 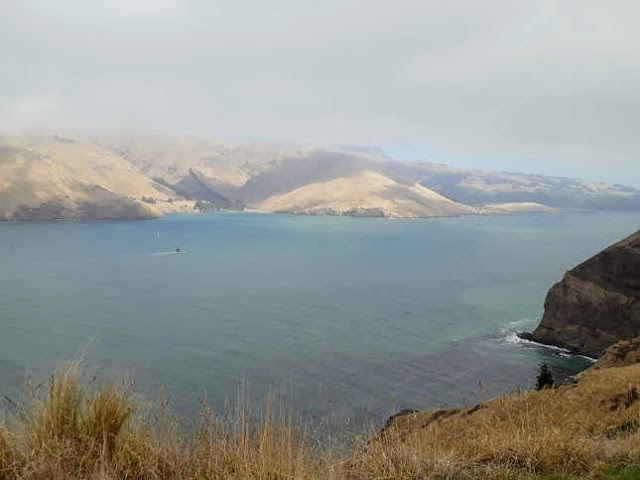 To get to Godley Head, go through Sumner and climb up to Evans Pass then turn left and follow the Summit Road the five odd kilometers to the Godley Heads car-park. There is a sizable car park at the end of Godley Heads, the Summit Walkway (part of the Christchurch 360 track) starts from this point and goes out to the end of the peninsula and back towards Evans Pass. 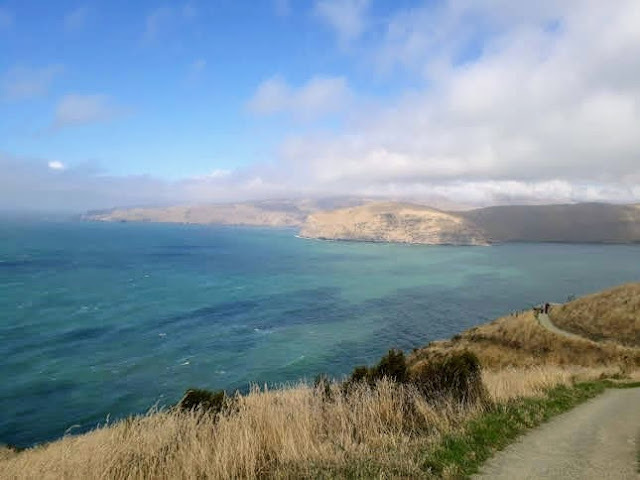 From near the car park you have excellent views of the surrounding area, down to Lytelton Heads and out to Banks Peninsula. As you can see below there are a multitude of tracks up here all of them are well marked and signposted and the track surface is just about good enough for a wheelchair. We decided to do the Godley Heads Loop Track which takes you out past the old control buildings for the complex, past an observation bunker and then climbs to Godley Battery at the apex of the ridge. As you can see below the old defense buildings are slowly being restored and are now open to the public. The last time I was here it was totally locked up so that vandals could not damage these very historic building. The buildings at the start of the track consist of a plotting room, a workshop and the power generation building. The Battery HQ, barracks and other control bunkers were situated on the top of the ridge closer to Godley Battery. 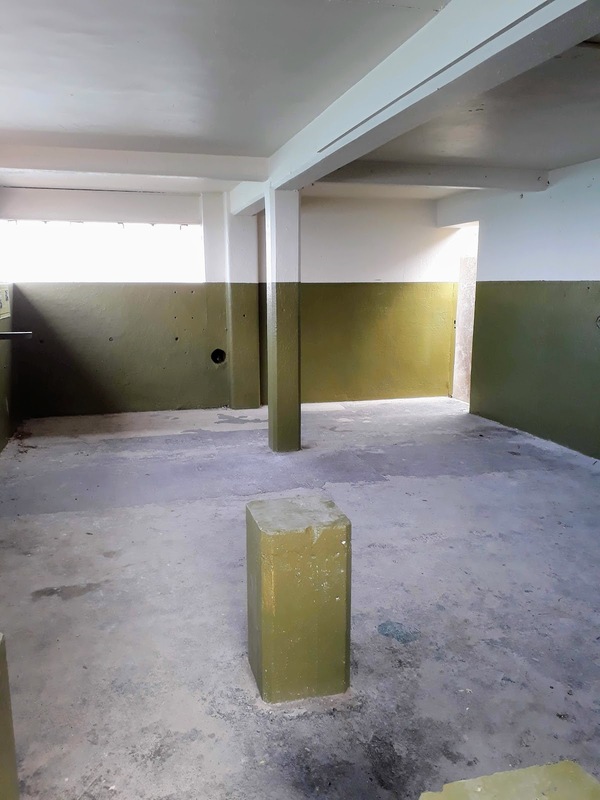 All of the buildings have foot thick reinforced concrete walls and armored shutters and doors where fitted to limit blast damage and shell splinters if the site had ever been attacked. Its worth noting that a German commerce raider Adjutant dropped 10 mines off Lytelton Harbor in early 1940 (they were never recovered!!!). It is also suspected that various German U-Boats & Japanese ocean going submarines visited the area during the war, so the threat to local shipping was real. The walls and armored doors are bit pathetic to tell the truth...they would have been fine for machine gun bullets and light shrapnel but a big naval gun like a 5.9 inch/150mm (carried by commerce cruisers) would have blasted these buildings to rubble. German U-Boats carried a 3.4inch/88mm gun and some of the big Japanese subs had up to 8 inch guns all of which would have been effective against visible buildings. I can only imagine what a really big gun like those on a battleship would do to the installation. 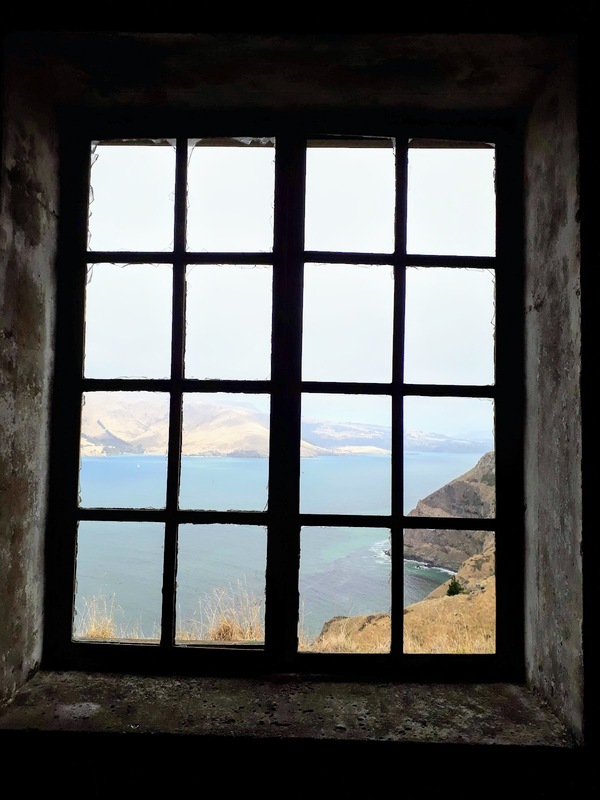 Bit of an artistic shot by Karen of the Purau area as seen from one of the generator room windows. 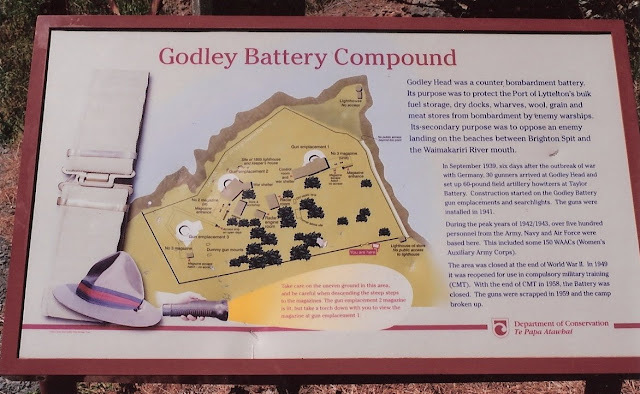 As you can see by this map there were two main batteries, Godley and Taylor as well as a series of observation posts so corrections could be made to the fall of the shot. 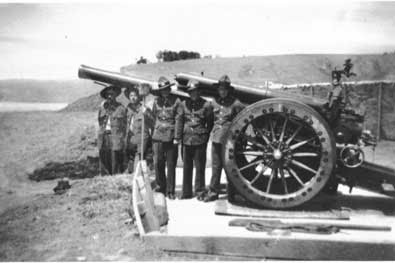 Taylor Battery was temporary and the guns were removed once the main battery at Godley Head became operational. These were complimented by machine gun pill boxes, observation posts and searchlight batteries. At the peak of its use in 1943 there were over 500 Army, Navy and Home Guard troops occupying the site. From the control buildings we took the obvious track down to battery observation bunker No.2 which has clear views out past the head of Lytelton Harbor and well out to sea. When you reach the bunker make sure you go inside as there are a number of informative panels explaining what the installation was used for. 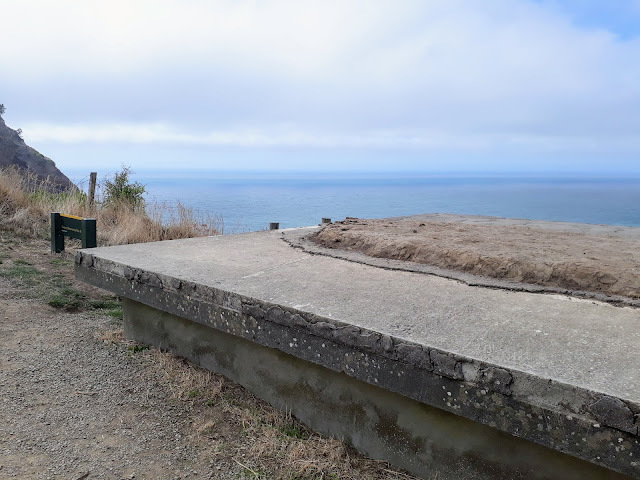 This bunker controlled the searchlight battery located at the base of the cliffs. 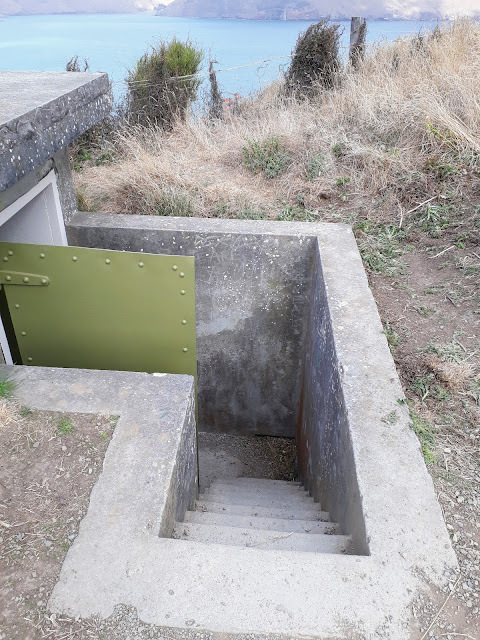 As you can see they used classic defense work engineering skills here: the steps down to the bunker are small, steep and tight and there is a L shape entrance to limit shrapnel damage from a near miss. Back in the 1940's the bunker was covered with soil and grass/plants were put on the top to camouflage it from above and out to sea. 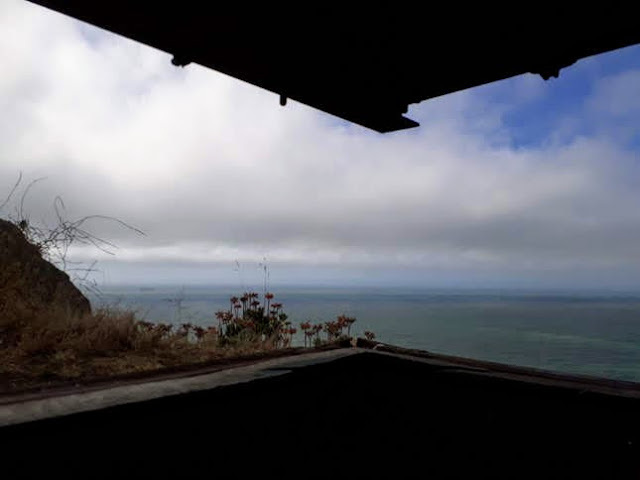 The views from the bunker are superb, from here the sentries would have been able to see any approach made to Lytelton as well as into Port Levy to the South East. Observation is unobstructed right out to the horizon....obviously useful if you are trying to sink approaching enemy vessels. 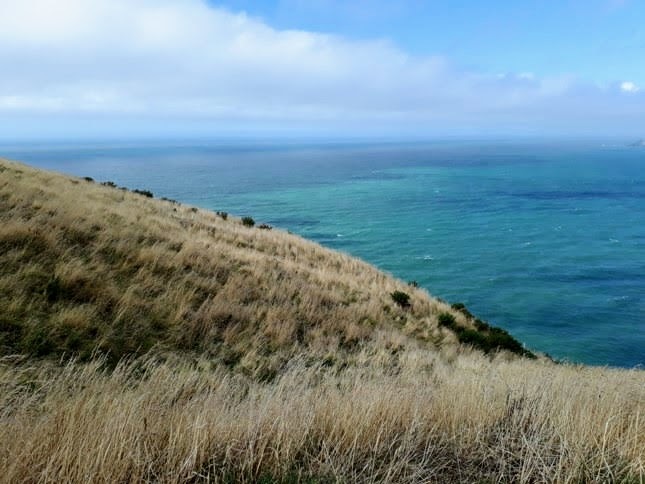 Godley Heads is the home for a number of flora and fauna species which do not occur anywhere else in New Zealand. 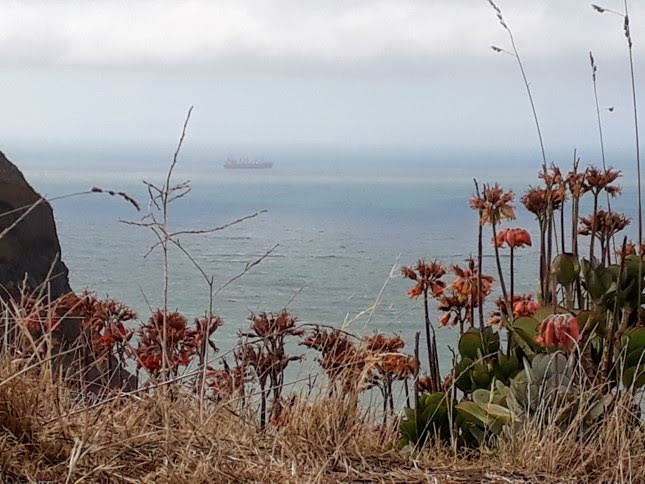 There are also invasive species like gorse, broom and Cotyldon Orbiculuta or Pigs Ear which are the large succulents growing around the observation bunker. From the observation bunker the track climbs quite steeply to the Godley Battery compound at the apex of the ridge the defense installation sit on. This is the most difficult part of the track but even here the track is well constructed and relatively easy to climb. DOC and the Godley Heads Trust who look after the area have started a planting program on the slopes beside the track, they appear to be planting native trees possibly as a means to stabilize these cliffs after damage sustained in the 2010/2011 earthquakes. There are some spectacular views of the cliffs and the ocean as you walk through this area but keep any children close to hand as there are some massive drop offs quite close to the track. 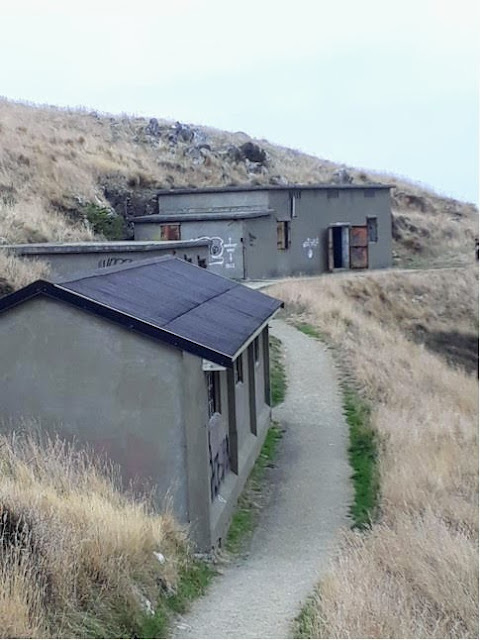 There are two gun battery sites, Godley and Taylor both situated on the edge of the cliffs at the extreme end of Godley Head. 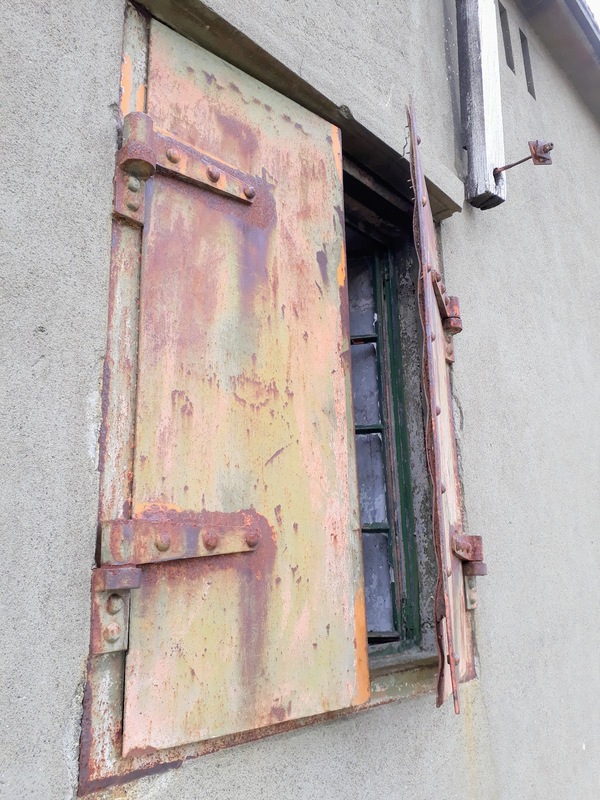 Godley Battery is currently closed while preservation work is underway. 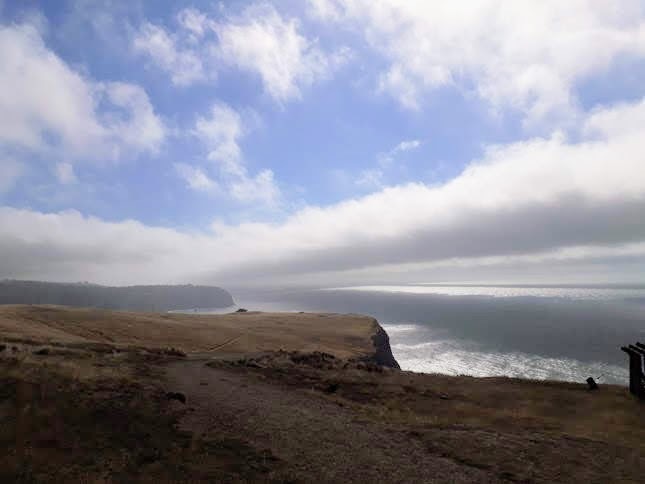 I believe DOC may ultimately decide to permanently fence the site off as it is liable to fall off the side of the nearby cliff if here is ever another large earthquake. We did not visit Taylor Battery as it is about a kilometer downhill on the track to Taylors Mistake which is one of the bays in the area. I will visit the area at some time in the future and post some photos here. Even though the site is fenced off you can still get a good overview of how the site was set up by walking along the fence from the southern to the northern side of the peninsula. You can clearly see the site of the gun pits and supporting bunkers where the fall of shot from the guns was controlled. There were three guns located at Godley Battery: two in Emplacement A and one in Emplacement B. All of these guns had a range of 22 miles so would have been able to lob a shell to the horizon and as far north as the mouth of the Waimakiriri River. The guns were British designed BL 6 inch coastal guns and the emplacements featured an armored shield on the guns and steel and concrete overhead protection. The ammunition magazines are located near the guns in underground bunkers protected with thick concrete roofs with a deep layer of soil on top. 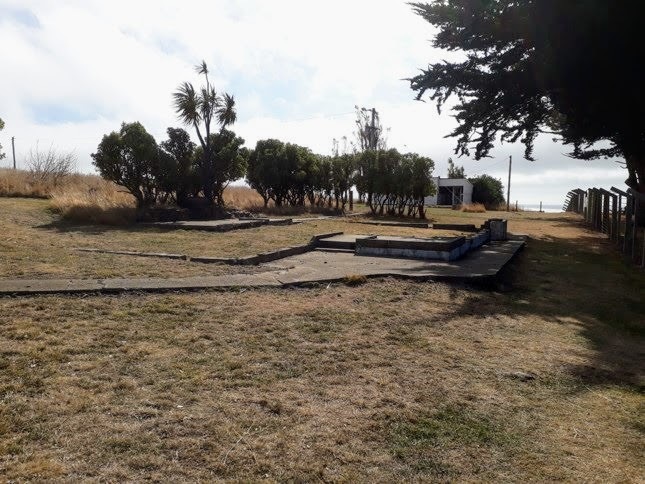 The site was still active until the late 1950's as it was used for National Service training....the guns were last fired in 1957 and were removed shortly afterwards. It would have been amazing if they still existed but it seems likely they were cut up for scrape metal. If they ever open the site to the public I will come up here and take some photos of the gun pits, magazines and observation posts. 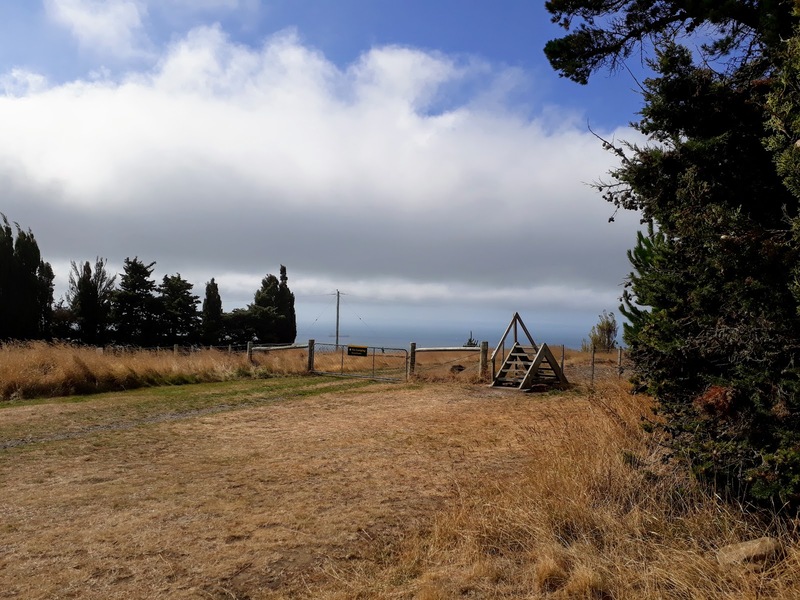 From Godley Battery there is a short climb up a track to the Godley Heads campsite, this is a very basic DOC administered campsite located next to some of the historic buildings used as the Battery HQ back during the war. As you can see the camp site is quite basic but it would be an excellent spot to camp some summer evening. You could set up camp and take a stroll down to the battery site to watch the moon/sun rise over the horizon. I have been out here in the morning and it really is spectacular to see the sun rise up out of the ocean. There are a set of toilets and several water points next to the campsite...it is normally dry up here so if you are coming to camp I would bring copious amounts of water with you in case the tank is dry. 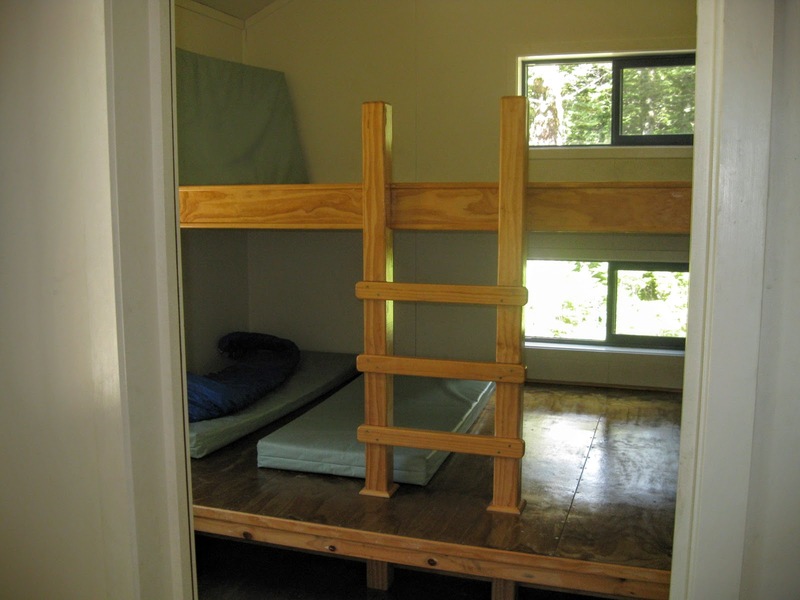 The charge for a camp site is only $15 per night with a two day maximum stay limit. You book a campsite through the DOC campsite booking page and they give you a code for the locked gate at the entrance. 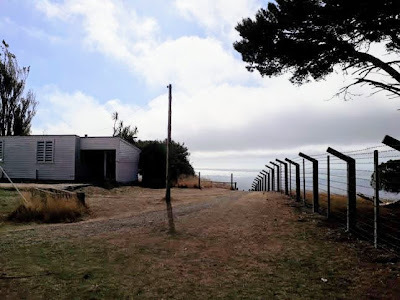 Over the summer there is a volunteer ranger in attendance, they can stay in one of the old restored barrack huts which look exactly like the ones I remember from Helwan Camp up at the Army Training Area, Waiouru. Hopefully they are warmer and more comfortable than the lousy one I stayed in one winter while doing a three month field line laying course. It was memorable that's for sure. Fun, fun, fun in negative -5 degree temperatures with the wind whistling off Ruapehu and the snow blowing under the door. We practiced laying field telephone lines right out into the training area..no supervision and made up solutions for getting over roads, rivers and the such. That was a lot of fun. One of the guys drove over a concrete berm and ripped a front axle and the oil pan off a Landrover...so he got charged and had to pay $4500. Good aspects... we did get away from all the B.S at the School of Signals no parades or inspections and we dressed like a bunch of pirates...I got around for most of the time in a blue boiler suit, old navy jersey and a German Army parka....we played a lot of cards and darts...went tramping some weekends, had a lot of barbecue's (venison, smoked eel, trout wrapped in foil...yumbo!!!) and drank a lot of booze when not working so not all bad...!!! Yeah I enjoyed my time in the Army...but I digress. You have to pre-book to stay in the camp grounds, but you could turn up, book online (cell coverage here) get the code for the gate and make yourself at home. No open fires are allowed here at any time of the year so you near to bring some sort of gas cooker with you if you intend cooking a meal. Karen and I are both keen to give it a go but I think they close the camp grounds over winter (June-October???) so we need to get in fast if its going to be this year. I thoroughly recommend you go take a look at Godley Heads it is an awesome place to visit just be careful on the approach road as it is very narrow and busy in the weekends. Maybe take a tent or your motor-home and stay for a day or two...go watch the sun rise one morning. 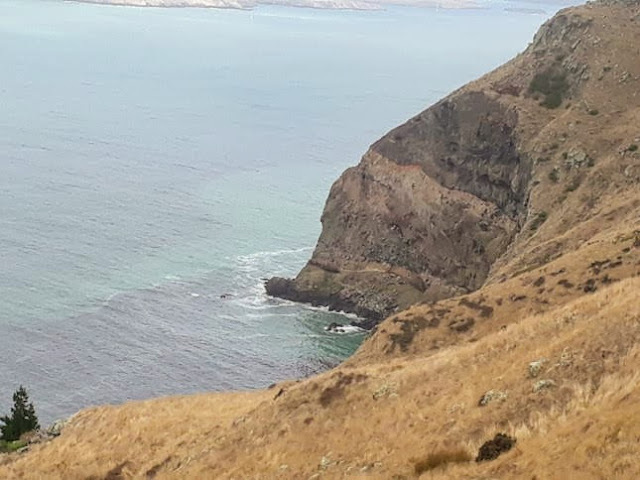 Access: From Summer take the Evans Pass road, then turn left onto Summit Road heading out to Godley Heads. The road is narrow, winding with drop offs on the downhill side. Exercise caution as it can be busy and some of the other drivers are not very courteous. Track Times: From the car-park it is 45 minutes to 1 hour to complete the Godley Heads Loop Track, all tracks are well marked and signposted. Miscellaneous: The campsite is on DOC booking system, must be booked for overnight visit. Public toilets at the camp site and at the car-park. Where have you been Jon? Copyright Jonathan A Moake. Watermark theme. Powered by Blogger.